Mother’s Day is the perfect day to show Mom’s how much we love them. It’s the day we express our thanks for all the sacrifices she made, no matter how painful and frustrating it may have been. She’d say that acknowledging those sacrifices is gift enough, but we can do better than that. Flowers, mani/pedi gift cards, or lovely dinners are fine symbols of gratitude. 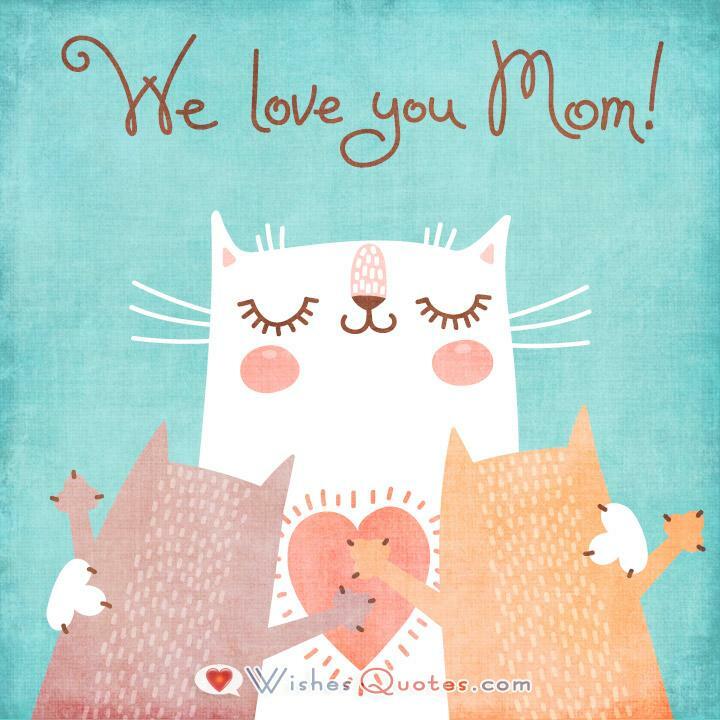 What Mom’s really want is US — our presence, our hugs and kisses, and a thoughtfully worded note of love. So, whether or not we buy a gift, we need to put those expressions of love down on paper — now is NOT the time for a brief, detached, long distance tweet. Wrap your gift, make dinner reservations and compose a message similar to the ones below. Your Mom will feel the warmth of all that love she gave to you, coming right back to her. If my life had to be fit in a single selfie, it would be incomplete without my mommy. I love you mom! I have a great mom and I love her more and more every day. A mother’s love gives to a child, what schools and colleges don’t. Love you mom. 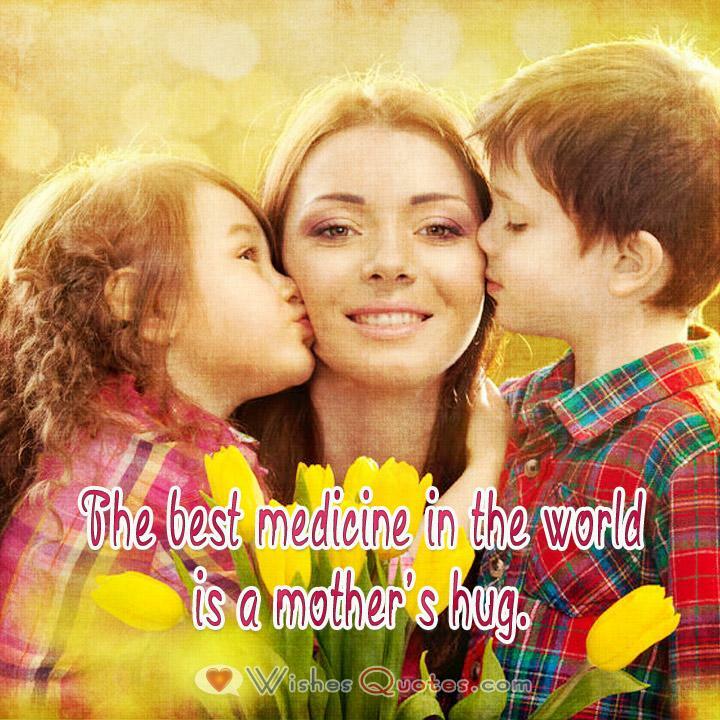 The best medicine in the world is a mother’s hug. Beautiful, generous gift from God — that’s you Mom. I want you to feel extra loved this Mother’s Day. A mother’s heart is a patchwork of love. The roses are red, the rumors are true, no one’s got a Mom as awesome as you. Happy Mother’s Day! Now that I’m a parent, I not only realize how great you were, I marvel at how I’m still alive! Happy Mother’s Day! You were so strong with discipline and morality while showing us so much tenderness and love. You’re amazing…Happy Mother’s Day. How did you do it all? You tackled mothering with such grace, you made it look easy (which it is NOT!). Happy Mother’s Day. Every time I look at you, I pray that it’s genetic. You’re the best, Mom. Happy Mother’s Day. 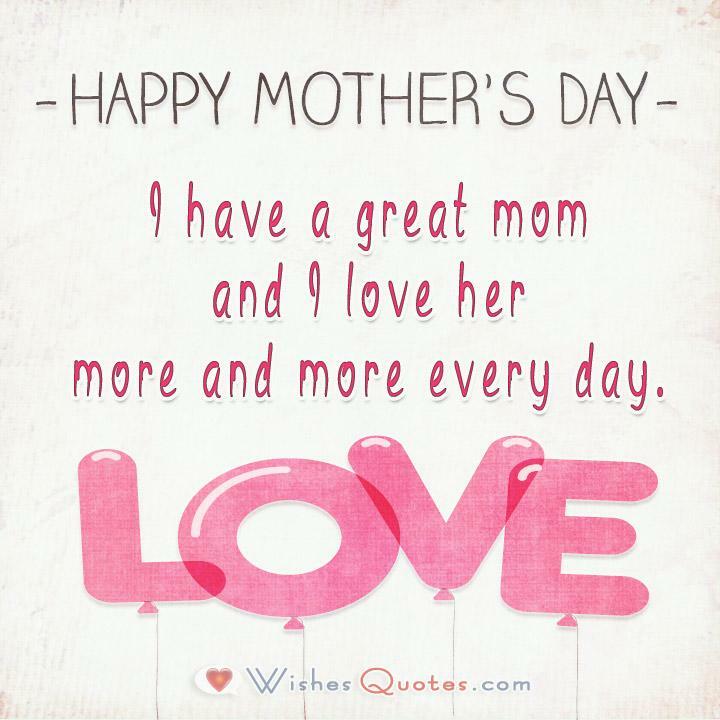 On this Mother’s Day, I want to congratulate you. Congratulations on raising me and maintaining your sanity! Mother’s love is the fuel that enables a normal human being to do the impossible. On Mother’s Day, you are in complete control. Your wish is our command. Dad can just wait until Father’s Day for his turn. Thank you and Happy Mother’s Day to the person who turned my wife into the outstanding wife she is today. You rocked me to sleep, bandaged my skinned knees, helped me navigate my teen years and more. Happy Mother’s Day. Remember when I brought a dead bird to school for “show and tell?” You didn’t know about that? Oh…well… Happy Mother’s Day! Supermodel looks? Check. Crazy smart? Check. Biggest heart? Check. Happy Mother’s Day to the BEST! On Mother’s Day, I need to add time to my prayers of gratitude because of you. I love you, Mom. I was a pain as a kid and, on Mother’s Day, I just want to let you know I’m getting paid back by your grandchildren. On Mother’s Day, I want to thank you for being my “built-in” BFF. Love you, Mom. When it comes to Mother’s Day, you are the Nobel Prize, Oscar, Emmy and National Medal of Honor Mom! You always gave of yourself so generously — I’m truly blessed and I don’t take that for granted. Happy Mother’s Day.